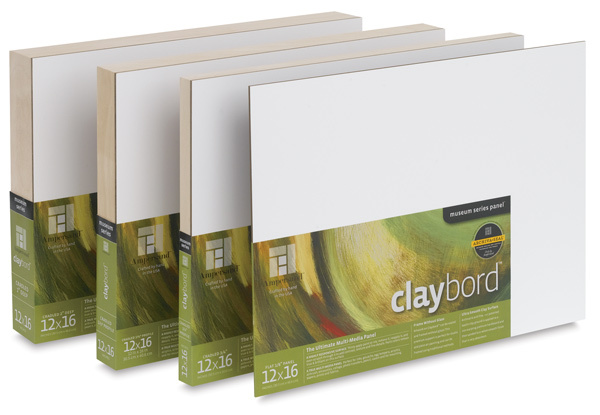 Claybord is a true multimedia panel, ideal for paint, ink, gouache, egg tempera, acrylics, airbrush, collage, photo-transfer, pencil, casein, and for mounting papers, prints, and fabrics. ™ Ampersand is a trademark.™ Claybord is a trademark. ™ Hardbord is a trademark.